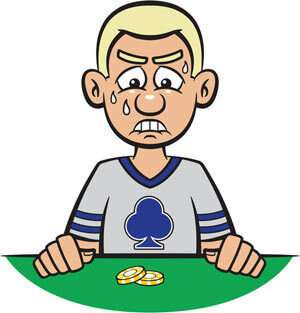 Perhaps one of the trickiest decisions to make in poker is knowing when to laydown a big hand. 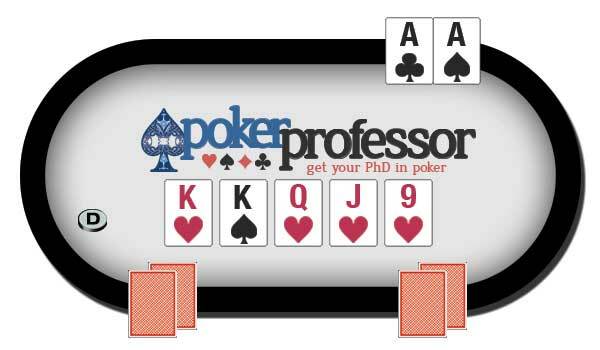 A number of commentators on the game claim that it is easier to laydown a big hand in Texas Holdem than it is in other games such as Seven Card Stud, but tell me if you think that is the case next time you are having to contemplate laying down your pocket Aces. However difficult it is, if you really want to progress your game to a higher level then the big laydown is a vital skill that you must learn and more importantly learn to do well. There’s no point laying down big hands all the time when your not beat, that’s not a big laydown that’s just losing money! So you need to recognize when to make the big laydown and over time perfect the skill. With the majority of players you will find that they are incapable of making the big laydown and they will absolutely not fold. This is the classic mistake of players who are so obsessed by the fact that they are holding great cards that they forget to think about what their opponents may be holding and automatically assume that they have the best hand and continue to bet and call until the very end only to see the dealer pushing the chips in the opposite direction. In quite a few situations in poker, it’s often just a case of using common sense and evaluating your particular situation. If you’ve got pocket aces and the flop cards are K K Q , you really need to pay close attention to your opponents’ actions to try and get a read on whether you are beat or not. The turn card is laid down, and it is a J . Next, the river card is laid down a 9 . Really what can your Aces beat now? There is a significant chance that one of your opponents has a flush, or a straight, or three of a kind, or a full house and so on. Now this is an extreme example but it demonstrates the point that no matter how good your hand is, you can’t automatically assume that you are beating your opponent and you really need to go through the normal processes of assessing what hand your opponent may be holding and how that effects the way you play the hand. If you are playing against a decent opponent who has seen your strength before the flop and then post-flop they continue to bet into you and raise your bets then you have to take a step back and think about what they already know. They have seen the strength shown from your raise, so they are aware that you may have a big hand, but they still think that they have you beat and are betting and raising, so there is a big possibility that your hand is beat and you should be getting away from the hand. Of course you can only know this by paying attention and building a profile of the type of player your opponent is, and then using this profile to work out what type of hand he has and to know when you are beat. Evaluating your opponent can be difficult, especially when playing poker online. There are some people, who choose to stay at the same table and play with people over and over again. Often however, that is not the case and you get people who come into your room, play one game (or even one hand) and leave immediately. This makes it hard to know what type of moves they might make in that one chance that you have playing them. The more you play and get experience making decisions with big hands in poker, the better you will be. You will eventually get to the point where evaluating your opponents gets easier, and you won’t make the mistake of keeping a pair of Aces if you think one of your opponents could have a more superior hand. That’s the sort of Decision that really boost your profits over time, even though you have lost a small amount in that hand, you have avoiding losing a whole lot more.